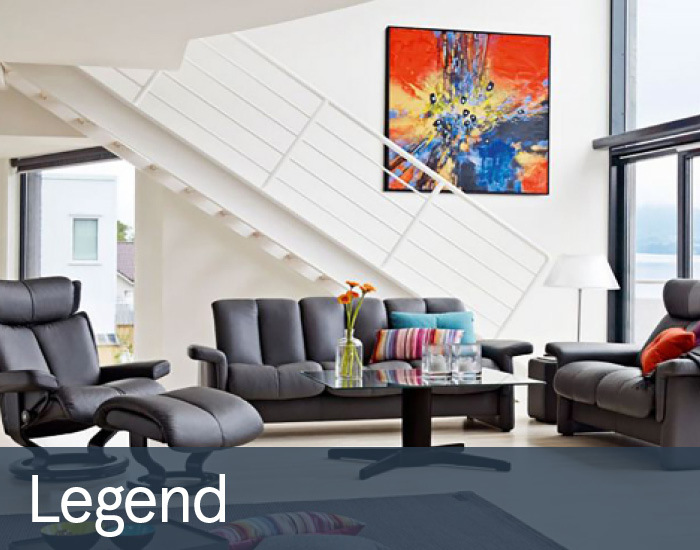 The vast collection of reclining sofas, chairs and corner groups from Stressless is one of versatility, contemporary design, pioneering features, and luxurious quality that lasts. Available in both leather and fabric with matching tables, their outstanding products have made them one of the most renowned furniture brands in the world. Stressless was introduced in 1971, as the first recliner to meet the body’s need for movement and support when seated, and comfort has been a major driving force for them ever since. In their quest for constant improvement and innovation, they have never compromised. That is why today, Stressless is known as “The Innovators of Comfort”. 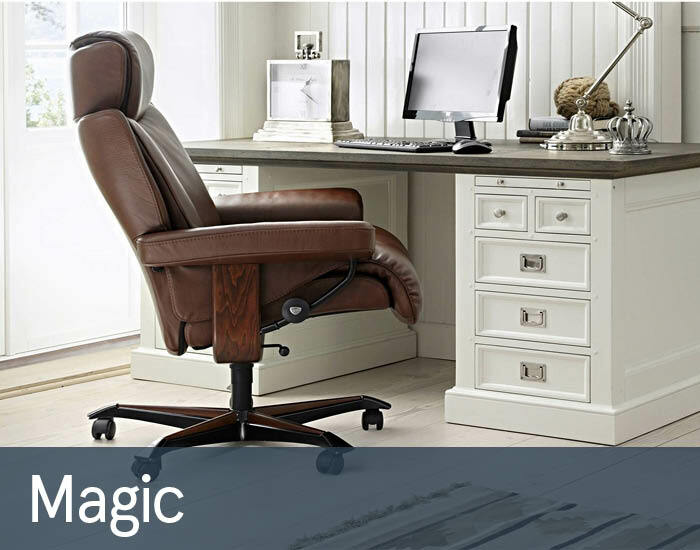 Their products offer patented features you won’t find on other recliners, from the “glide system” that follows your slightest movements, to the “plus system” for correct neck and lumbar support in every position. With all technical features seamlessly embedded in the smart design you can recline and relax in style. 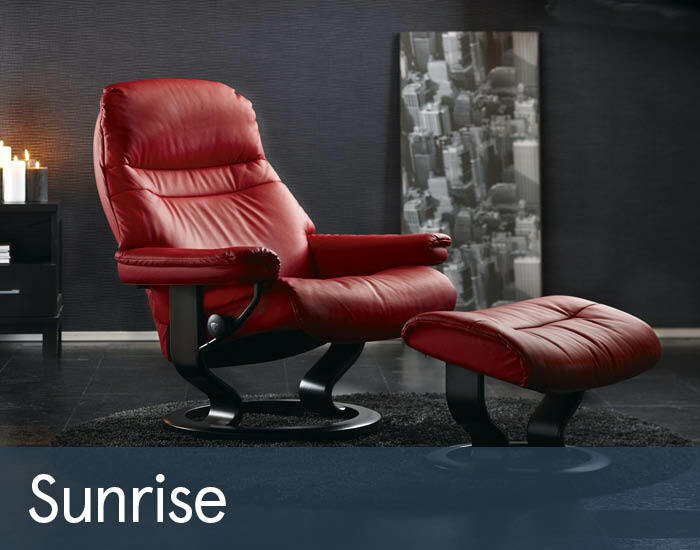 The exceptional comfort of a Stressless product has to be experienced first hand. Most of their recliners come in 3 sizes, and although the difference is so subtle it’s hardly visible, it’s evident in the comfort when you find your perfect fit. We would warmly recommend a visit to one of our extensive Stressless Comfort Studios, now available in all Cousins stores. Come and see all their latest models and best sellers on display; and take the ultimate “Comfort Test”. 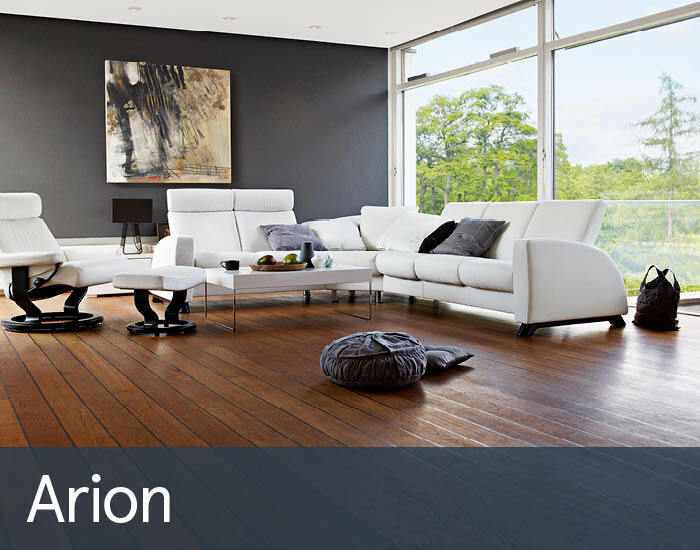 Ergonomically designed and engineered in Norway since 1934, utilising the very finest quality materials and latest comfort technology, Stressless have a world-leading reputation as the “Innovators of Comfort”. Each stylish contemporary sofa and chair is expertly handcrafted to a luxurious standard and can be configured to your exact comfort and support requirements to ensure perfect relaxation. Visit one of our extensive Comfort Studios in your nearest Cousins store to see the latest models and best sellers and take the ultimate “Comfort Test”.